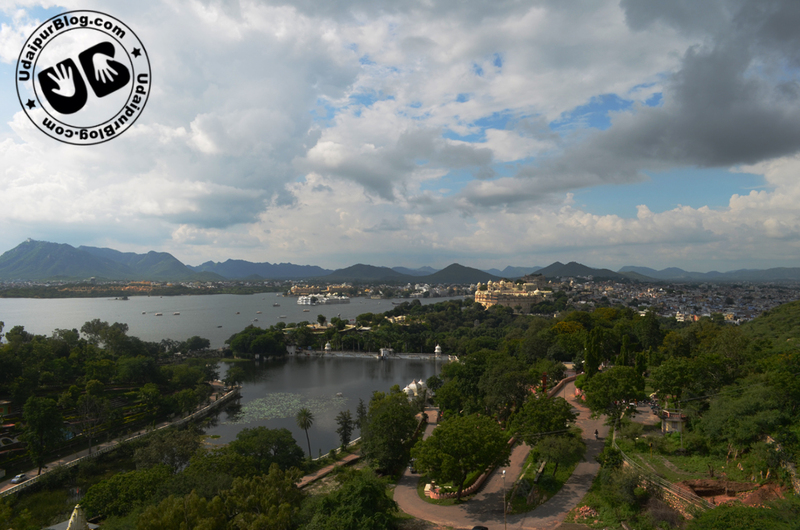 The sunset point is the paramount place to see the most beautiful face of Udaipur. This garden is famous for its excellent view to the dusk and the weakly musical fountain show. This show is held every Monday after the twilight. Its located at the southeastern part of Pichola lake by the side of Dudh Talai and ahead of M.L. Verma park. Before the garden there is a ropeway which lands us to Karnimata temple giving an tremendous outlook of the city. This is one of the most frequently visited gardens of Udaipur. It’s a pleasure to our eyes when we perceive the diffused light from the sky during the early evening when the sun is below the horizon and its light is refracted by the earth’s atmosphere. We ublogers advice every visitor to go there and enjoy the intense red and orange hues of the sky at sunset with the fountain dancing on music.